Joseph Hinkhouse concentrates his practice on representing insurers and reinsurers in high-stakes litigation and arbitration. Joe has tried insurance coverage and bad faith cases in Illinois, Indiana, Michigan, Minnesota, Mississippi, Missouri, Pennsylvania and Washington, and has conducted arbitration hearings in Bermuda, Arizona, New York and Illinois. Prior to founding his current firm, Joe chaired the Insurance Practice Group at an Am Law 100 firm. 2015. Joe served as lead trial counsel in a two-week trial in St. Louis City, Missouri involving over $5 million in damages and alleged vexatious claims handling. The jury returned a verdict in favor of HWW's clients on all disputed issues. Nooter v. Allianz Underwriters Ins. Co., Circuit Court for the City of St. Louis, Missouri, Case No. 1022-CC01145-01. 2012-2013. Summary judgment in favor of Joe's client in U.S. District Courts in Missouri finding that pollution exclusion precludes defense and indemnity coverage for a lead smelter. Joe successfully argued the appeals before the Eighth Circuit Court of Appeals. The Doe Run Resources Corp. v. Lexington Ins. Co., 719 F.3d 876 (8th Cir. 2013). 2012. Obtained dismissal of bad faith and related claims and Seventh Circuit affirmance for insurer in first-party property claim following an explosion at a metal processing plant. G&S Holdings L.L.C., et al. v. Continental Casualty Co., 697 F.3d 535 (7th Cir. 2012). 2011-2013. Summary judgment granted in U.S. District Court for the Middle District of Florida finding various Chinese manufactured drywall claims to be excluded from coverage by the pollution exclusion. Joe obtained an affirmance from the 11th Circuit. Granite State Insurance Co. v. KB Home, Inc., 504 Fed. Appx. 815 (11th Cir. 2013). 2010. Joe served as lead counsel in an arbitration involving over $20 million in alleged compensatory, bad faith, and punitive damages. The arbitration panel found in favor of HWW’s client, ruling there was no coverage for two class actions and two governmental actions under three pollution liability policies primarily because HWW proved the insured was aware of the pollution conditions prior to the inception of the policies. 2008-2009. Summary judgment and favorable appellate rulings in Illinois and Indiana coverage actions involving over $100 million in exposure arising out of medical devices used to treat abdominal aortic aneurysms. Allianz v. Guidant, 900 N.E.2d 1218 (Ill. App. 2008) and Allianz v. Guidant, 884 N.E.2d 405 (Ind. App. 2008). 2008. Joe served as lead counsel in a Bermuda arbitration involving over $100 million in alleged coverage under a Bermuda form policy. The arbitration panel found in favor of HWW’s client, ruling there was no coverage under the policy. 2006-2007. Summary judgment in the U.S. District Court for the Northern District of Illinois finding no coverage for seventeen class actions involving anti-trust and consumer fraud allegations. Case affirmed on appeal. Del Monte Fresh Produce Inc. v. Transportation Ins. Co., 500 F.3d 640 (7th Cir. 2007). 2005. Joe served as lead trial counsel in a six-week jury trial in Hendricks County, Indiana, involving more than $5 million in alleged damages, and projected future losses exceeding $10 million. The jury found in favor of Joe’s insurer clients on all disputed coverage issues. The case was affirmed on appeal. PSI Energy, Inc. v. Home Ins. Co., 846 N.E.2d 1123 (Ind. Ct. App. 2006) and 801 N.E.2d 705 (Ind. Ct. App. 2004). 2003-2004. Summary judgment and dismissal of a bad faith and veil-piercing suit against five insurance and reinsurance company clients in federal court in Muskogee, Oklahoma. The court ruled in favor of Joe’s clients on all issues. Garrett v. Fairfield Ins. Co., 2003 WL 23274567 (E.D. Okla. 2003). 2002. Joe’s client, a major reinsurance company, won a $25 million arbitration award following many months of intensive discovery and a week-long arbitration hearing in Florida. 2001-2003. Joe served as lead trial counsel in a nine-week bench trial involving over $20 million in alleged damages. The court ruled in favor of his client on all disputed issues, and against a major newspaper publisher, The Tribune Company. The trial court’s ruling was affirmed. Tribune v. Allstate Ins., Co., 853 N.E.2d 453 (Ill. App. Ct. 2003). 1998-1999. Joe served as lead trial counsel in a three-month jury trial in federal court in Detroit. The case was brought by a multi-national chemical manufacturer and involved more than $90 million in alleged damages. The case was favorably resolved shortly before verdict. 1992-1993. The trial and appeals of an environmental coverage case in which the Minnesota Supreme Court affirmed a favorable ruling, which resulted in no recovery against Joe’s insurer clients. The case, Domtar v. Niagara, 563 N.E.2d 724 (Minn. 1993), is often cited on issues relating to pro rata allocation of loss. Joe has served as national coordinating counsel for several product manufacturers and has successfully tried several product liability cases. He has represented manufacturers of a wide range of products, including cranes, aerial devices, wood chippers, industrial chemicals, and laboratory products. 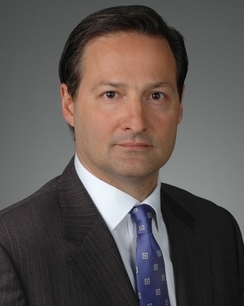 Joe also has extensive experience defending mass tort litigation involving asbestos and benzene. Lead Author: "Collusive Policyholder Settlements"
HWW Attorneys Win Private Arbitration Against Landfill Operator. Claims on Appeal: A Primer on the Appellate Process for Claims Professionals.